On her second patrol, starting on 30 December 1941, S-36 had completed one daring successful attack, on a small transport moored in Calapan Harbor, Mindoro, P. I. 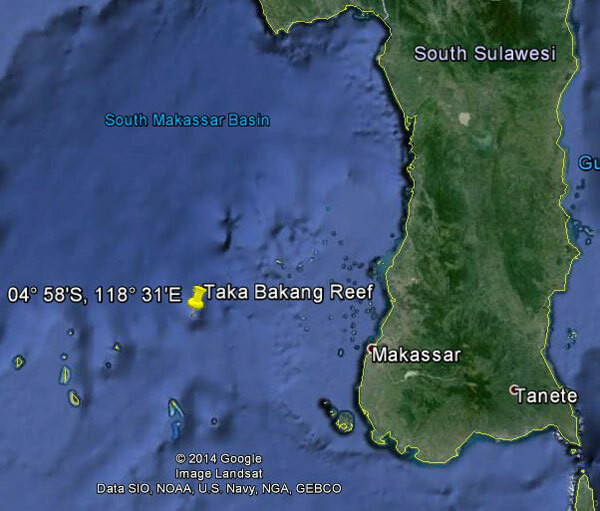 She was proceeding to Surabaya, Java, N. E. I. in accordance with instructions received from ComSubAf, when, at 0404 on 20 January 1942, S-36 grounded on Taka Bakang Reef in Makassar Strait west of Southern Celebes. Her forward battery flooded and appeared to be generating chlorine gas, and the situation seemed grave enough to Lieut. J. R. McKnight, Jr., Commanding Officer, to necessitate sending out a plain language message that she was aground and sinking. SARGO, nearing Surabaya, received the message and tried to relay it, but after five hours of unsuccessful trying she turned back to help S-36. Conditions became progressively worse, and when the Dutch ship S. S. SIBEROTE arrived on the afternoon of 21 January 1942, the Commanding Officer decided to abandon his ship and destroy her. All officers and men were saved and arrived at Surabaya on 25 February in SIBEROTE. The first patrol of S-36 had been productive of no sinkings, but for the patrol on which she was lost, she was credited with a 5,000 ton ship sunk. See also Ed Howard's Final Patrol page on USS S-36 (external link).